Gordon Stables plays a number of roles at USC's Annenberg School for Communication and Journalism. He serves as the Assistant Dean for Student Affairs. At Annenberg student affairs includes Advisement and Academic Services (for undergraduate and graduate students), Career Development, International Programs and Civic Engagement. 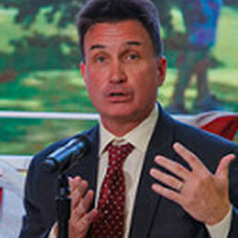 He directs USC's debate program and serves as the President of the American Forensic Association, the nation's oldest intercollegiate debate association. He has familiarity with a range of debate platforms and formats and studies how our evolving digital media landscape influences norms of argument and debate. More broadly, his teaching and research focus on political communication, public argumentation, debate and global media. His scholarship has included work about political debates and coverage of international conflict.